Young children are learning how to manage stress, cope with frustration, generate appropriate solutions to challenges and get along with others. As parents and caregivers, you can promote emotional well being by encouraging your children's healthy expression of feelings. When children learn how to express themselves, they are learning important skills for life. Watch your infant. Babies can experience a variety of complex emotions including happiness, sadness and fear. Your baby's first life lesson is to develop feelings of trust. Respond to your baby's cry, provide physical comfort and plenty of love and attention. Active toddlers are learning about the world, becoming more independent and gradually developing the skills needed to express feelings through actions and words. Children at this age want to feed themselves, dress themselves and make their feelings known by saying "no" and "mine." Support your toddler's quest for independence. Provide age-appropriate opportunities for your toddler to make choices. For example, "Do you want to wear the red shirt or the blue shirt today? You choose." Preschoolers love to play. They can express a wide range of emotions and are learning to make friends and resolve conflicts. Remember, be patient. These lessons take time! You can help children express themselves and master challenges through play. "Maybe 'Arthur' feels sad because 'D.W.' took his toy from him." Your imaginative preschooler may enjoy helping these favorite characters find practical and peaceful solutions to problems. Kids express their feelings differently than adults. Throwing tantrums , crying and whining can be common during the early years. Find opportunities to encourage the appropriate expression of feelings. Your children can gradually find the words to express their feelings with your support. For example, if your child cries when leaving a party, you can say "I know you feel sad because it's time to leave. It's hard to leave a party when you're having fun." School age children can understand and express an even wider range of emotions. You can help by listening and providing responses like "It hurts when a friend teases you, I understand." When children feel understood, they are more likely to find effective solutions to challenges. In time, and with your support, your child can learn to handle frustration, disappointment and other challenges. With these skills, children gain feelings of confidence, self-esteem and competence. Listen to your child. Through understanding and acceptance from a parent, children gradually learn how to manage their own emotions and respect the feelings of others. Pay attention to body language. Read cues. Many feelings are communicated through facial expressions and gestures. Notice and encourage your child's positive behaviors and ignore minor misbehaviors, when appropriate. Label both your feelings and your child's feelings. "You seem scared when the thunder makes a loud noise." "I'm so excited to go to the park with you." When you acknowledge emotions and label them, children learn to recognize feelings and talk about them too. Model acceptable forms of expression. Children take their cues from the way we express our feelings. Know the difference between your child's feelings and behavior. Limits need to be set if a child is physically hurting someone else, but your child's feelings can still be validated in this situation. Let your child know it's okay to feel angry but it's not okay to hurt others. Parents can provide appropriate consequences for this behavior, and offer alternative forms of expression -- sending the message that all feelings are okay, it's what you do with them that counts! Openly show affection, and be available when your child appears frustrated, sad or fearful. 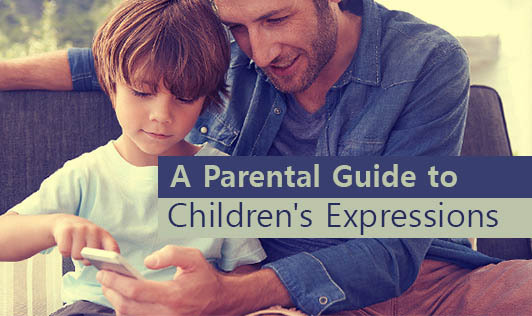 Use your words and actions to let your child know it is safe to express any emotions. Encourage children to handle and resolve conflicts with others without unnecessary intrusion by you. Your decision regarding when and whether to intervene will be influenced by your children's ages, temperaments and the specific circumstances of their disagreements. When children develop a strong sense of empathy, they are less likely to act aggressively and more likely to get along with others. Find daily opportunities to model empathy including caring for a pet, donating clothing to others and calling a sick friend to see how he is feeling. Seek alternatives to physical punishment. Read books or enroll in a class to learn effective and respectful discipline strategies. Maintain realistic expectations. Be patient as your child is learning new skills. By maintaining your own emotional health and well being, you are modeling important life skills to help your child learn and grow. Take time to nurture yourself. Take a walk, exercise, read a book, keep a journal or have coffee with a friend. Develop healthy, mutually respectful relationships with others. When you relate with friends, family and partners, your children will learn meaningful skills. When reading books, talk with your child about the characters and how they are feeling. Ask your child, "How do you know he feels sad?" or "What makes her feel happy in this story?" Create an "all about me" book with your child. Include photos of your child and the family, favorite foods, special friends, and pictures of things that make your child feel happy, sad, mad, scared and excited. Use puppets, dolls and stuffed animals to encourage your child to explore feelings through imaginative play. When your child expresses an interest in drawing, provide an array of art materials. Drawing and painting often bring out the expression of feelings in creative ways. Mirror play can be fun. Encourage your child to look in the mirror and make different "feelings faces." Take turns making facial expressions that reflect a variety of emotions such as happiness, surprise, sadness, fear, frustration, etc. Play the "guess how I feel game." Take turns with your child "acting out" a range of feelings without using words or language and guess what feelings are being expressed. This interactive game helps children to read nonverbal cues and understand the feelings of others. If you are overwhelmed or have concerns about your child's mood, behavior or development, seek professional support.